This crochet hat pattern may be made using any sport weight, dk, worsted, or aran weight yarn. 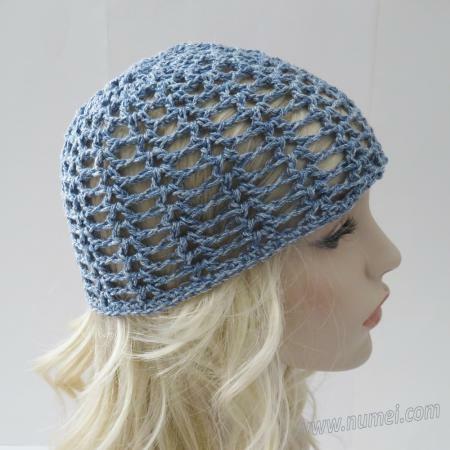 It is an alluring lacy beanie perfect for a stroll in the park on a beautiful summer day. Yarn: Any sport weight, DK, worsted or aran weight yarn.